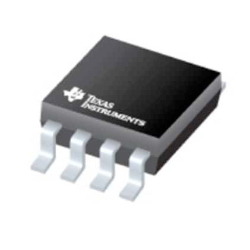 Texas Instruments TLV6002-Q1 Operational Amplifiers are single or dual-channel, and specially created for general-purpose automotive applications. The device features rail-to-rail input and output (RRIO) swings, low quiescent current (75µA, typical), wide bandwidth (1MHz) and low noise (28nV/√Hz at 1kHz). The devices provide a low-input-bias current (±1pA, typical) that allows use in applications with megaohm source impedances. The device provides robust design features, offering ease-of-use to the circuit designer. These design features comprise unity-gain stability with capacitive loads of up to 150pF, no phase reversal in overdrive conditions, integrated RF/EMI rejection filter, and high ESD protection (4kV HBM). The devices are optimised for operation at voltages as low as 1.8V (±0.9V) and up to 5.5V (±2.75V) and are specified over the extended temperature range of –40C to +125C. The devices are AEC-Q100 qualified for automotive applications such as engine control units, infotainment, and automotive lighting.